While there is huge opportunity for starting new businesses in this sector in India, making those businesses succeed is not an easy task. Indian healthcare, beauty and wellness as a whole is a trillion dollar industry, growing at 15-17 per cent per annum. While there is huge opportunity for starting new businesses in this sector in India, making those businesses succeed is not an easy task. 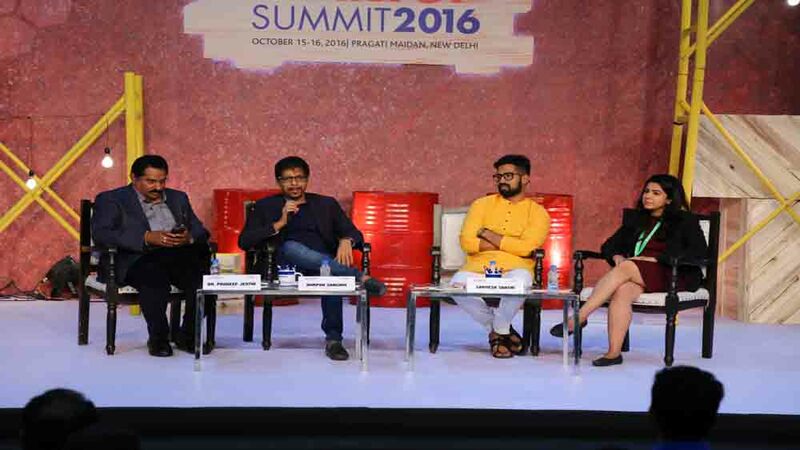 At Franchise India 2016, the experienced leaders from the industry as well as the newer younger guard came together at one platform to share their experiences as well as insights on starting up and running a business successfully in this sector. Here are top insights from Dr Pradeep Jeothi, CMD, Vasudeva Vilasam group of Companies, Darpan Sanghvi, MD, Sanghvi Brands and CEO, My Glamm, and Sarvesh Shashi, Founder & CEO, Zorba: A Renaissance Studio. Sanghvi’s My Glamm started operating from one central place in Mumbai. However, as more services requests started coming in, it became difficult to manage as the stylists had to travel for 2-3 hours to reach a particular location. This made him realise the need to go hyper-local and hence, get into franchising MyGlamm, making sure the brand is being able to cater to demands in every locality, and not just every city. Dr Jeothi spoke on how healthcare technology is not just helping the Indian healthcare business grow, but is also becoming a new segment itself with newer healthtech startups emerging huge. He added that it is because of healthcare technology that newer avenues of business are opening up in this sector. Sanghvi also explained how technology helped his brand disrupt the beauty market. MyGlamm is now a leaders in the at-home beauty service sector and it’s all thanks to technology that helps it deliver timely services. Dr Jeothi’s Ayurveda brand Vasudeva Vilasam was established in 1884 with three products. The brand has evolved with time and now has over 500 products, ayurveda centres, spa centres and is also franchising the brand to grow pan-India. In spite of being a grand old brand, its learning doesn’t stop. Dr Jeothi explained how the brand does not shy away from meeting the demands and needs of the changing trends in the wellness centre. Meanwhile, Sanghvi spoke about eyebrows extensions that MyGlamm offers, to move beyond normal beauty routines of threading. Shashi also spoke about how he’s making Yoga innovative and cool by introducing newer forms like Yoga with a ball, yoga in a swimming pool etc. It’s innovations that lead a brand ahead today. TBC: Expanding with a holistic wellness model..